It changed how Boston police prepare for major events. It changed what some venues allow through their gates. It changed how some people feel about crowds. The Boston Marathon bombing changed a lot, and not just locally. In Huntsville, Alabama it led the FBI to change how it trains technicians at its Hazardous Devices School, the place bomb squads nationwide go for the certification they are required to renew every three years. Agents in Alabama also said the Boston Marathon changed everything. Prior, pressure cookers had been used by bombers overseas, but weren’t in the school’s curriculum. They are now. The Boston Marathon bombing changed a lot, and not just locally. 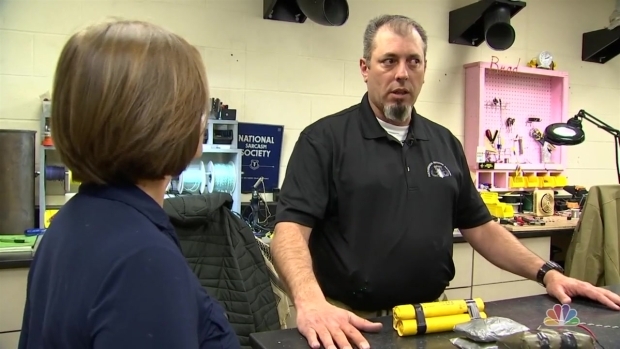 In Huntsville, Alabama it led the FBI to change how it trains technicians at its Hazardous Devices School, the place bomb squads nationwide go for the certification they are required to renew every three years. Not only did the Boston Marathon bombing add pressure cooker devices to the training mix, it made the trainers more proactive and forward thinking. “It’s time that we in law enforcement get ahead of the curve, and we do this a lot at the school instead of trying to be behind and then catch up,” said Kelly Boaz, an explosives operations specialist at the Hazardous Devices School. The FBI granted the NBC10 Boston Investigators exclusive access to their training and preparation. At the ranges in the sprawling 450-acre campus, techs study patterns, and how different improvised explosive devices detonate. There are classrooms, robotics, and bomb labs where specialists build thousands of dummy explosives to challenge students while keeping an eye on trends worldwide. Kent Hamann is an FBI explosives specialist who designs inert but realistic bombs for techs of various skill and experience levels. The 2013 Boston Marathon bombing had a profound effect on the world, and at the Hazardous Devices School in Huntsville, Alabama the FBI is sharing what they learned with bomb techs from around the country. “What are they seeing right now, and what are they going to see three months from now, a year from now, five years from now?” he said. MBTA Police Sgt. Steve Coveno and Massachusetts State Police Trooper Jimmy Higgins, who works in a bomb squad K9 unit at Logan Airport, went through the course in early March. NBC10 Boston provides an inside look at the "Bomb Shop" at the Hazardous Devices School in Huntsville, Alabama, where experts build and detonate explosives to train law enforcement. They train in mock villages, backyards, an airport, liquor store, church, a city center one trainer called Main Street USA. It could just as easily be Boylston Street, Boston, Massachusetts. The outcomes are realistic too. Special agent Tim Greene compares working on a bomb to a cobra in a basket. What Is 'The Long Walk'? "The long walk" is a reference to the walk a bomb technician makes when he goes from the point of safety with his equipment down to the device he has to deal with. Trooper Higgins made the cobra madder. The FBI doesn’t want us to detail exactly what happened, but he made the wrong choice trying to disable an IED attached to a hostage. The hostage is now dead, and so is he. “It’s way better to die here, because you get to get up and walk away and learn from it and rest assured that you will never die at home making that same mistake again,” Higgins said. They also trained with a pressure cooker bomb modeled exactly after the two used on Boylston Street on April 15, 2013. The Tsarnaev brothers had followed step-by-step instructions in an online terrorist magazine to build the bombs, which they tucked among families and fans near Boston Marathon the finish line. They killed three people and injured nearly 200 others. After the techs training in Alabama found the pressure cooker bomb in a backpack, they sent in a small amount of explosives, just enough to disable it, or render it safe. They don’t want to destroy it and obliterate any potential evidence. There was a fair amount the FBI wouldn’t let us describe. Everything they do at the school is to stay one step ahead of the bomber. “If the bomber knows our techniques, they can adjust their techniques to basically target us, make it a lot harder, more complicated or can affect the public even worse,” Osborne said. A major part of their preparation is being able to speak the same language. 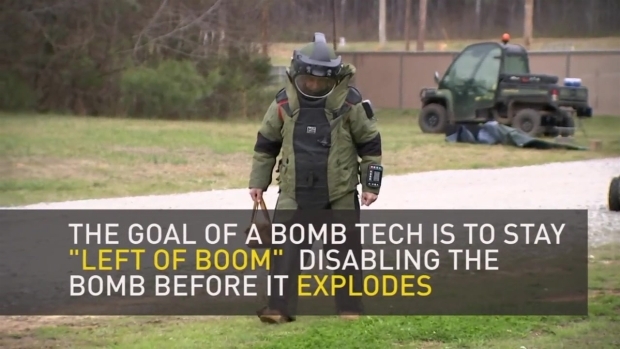 That is one of the top benefits of every bomb technician in America training in one place. 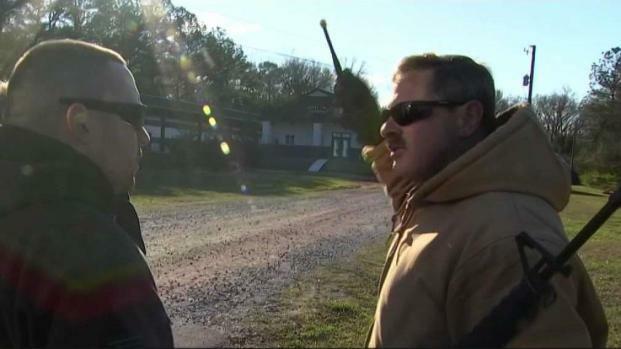 SWAT teams from different cities, for example, could each do things differently. But during the Boston Marathon bombings, teams responded from local, state, and FBI offices, and as far away as San Diego. They all spoke the same language and had the same playbook, because they all trained in the same place.